Meet the 15 outstanding winners at the Meet &amp; Greet Party in Robinsons Place Manila on June 24! Tik Tok, the most downloaded iPhone app in the world, has announced the 15 “Most Talented Award” winners of its first-ever talent contest “Talent ng Pilipino” in the Philippines. 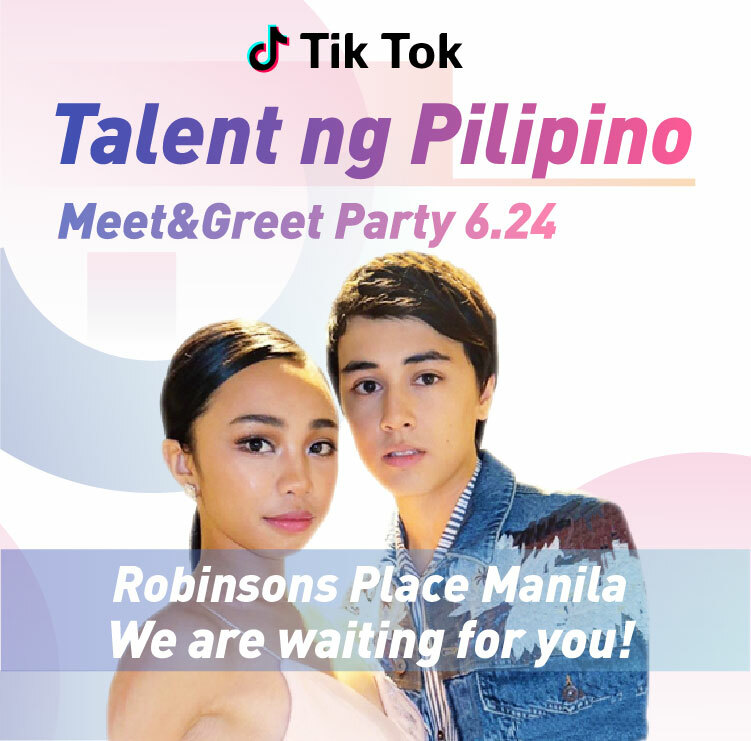 The winners will receive Php20,000 each and will be invited to join Filipino stars Maymay Entrata and Edward Barber, who kicked off the talent contest, at the Meet &amp; Greet Party in Robinsons Place Manila on June 24! Pilipino” Audition provided young creators a platform to showcase their creativity, develop their diverse talents, and grow their fan base—and of course, to express themselves. #sayawngpilipino category winner Sophia Zionne said. Meanwhile, the Pilipinong Patok Awardees will be announced at the Meet &amp; Greet Party where the winners with the top 3 most likes will get an additional Php30,000, Php20,000, and Php10,000. Aside from the awarding and announcement of the “Talent ng Pilipino” winners, the Meet &amp; Greet Part will also feature booths that will give creators a space to show off their talents. well! Tik Tok will always have newer challenges, so stay tuned for more! We look forward to welcoming everyone to accept our next challenge to express their talent, enjoy and have fun,” Tik Tok invited its Filipino users. comedy, or free-style, creators are encouraged to let their imagination run wild and set their expressions free.